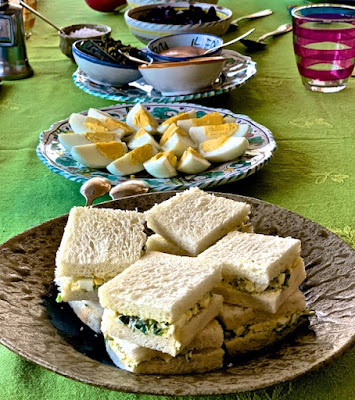 Inspired by California-Mediterranean cuisines and farmers markets, I cook healthy, flavorful dishes that are easy-to-prepare yet elegant. I write for Zester Daily, One for the Table, Luxury Travel Magazine, Huffington Post & New York Daily News. My latest Amazon eCookbook is 10 Delicious Holiday Recipes. My handcrafted chocolates are available at www.dchocolates.com. "Subscribe via email" and you'll get an email whenever I post a new recipe. Thanksgiving was my mother's favorite holiday, a time when family and friends gather together, share a meal and talk about what they hope for the coming year. It is never too early to start thinking about Thanksgiving. Right about now, my wife and I like to go over the guest list and send out emails to confirm who will be coming. We'll review the recipes we want to use, culling out ones that weren't as good last year as we hoped and searching for dishes that take us in new directions as we confirm our standby favorites like roasted Brussel sprouts, cornbread stuffing with apricots and shiitake mushrooms, kosher and Moroccan style pickles, whole roasted tomatoes, made-from-scratch cranberry sauce and so many more. I'm getting hungry as I write this! We'll check that we have all the kitchen implements we need. Roasting pans, turkey baster, oven thermometer and, most importantly, that our knives will be sharp. Which is why I'm posting this article now. If you enjoy cooking, you know the value of a good knife. 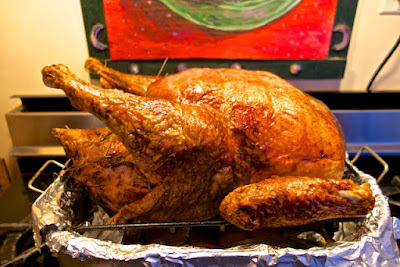 There is nothing so unsatisfying as using dull knives to prepare a big meal like Thanksgiving dinner. The chopping and carving that should be a delight become a tedious, unhappy chore. Over the years, I have put together a good collection of carbon stainless steel knives. I prefer Japanese style knives with their thiner blades and harder steel. 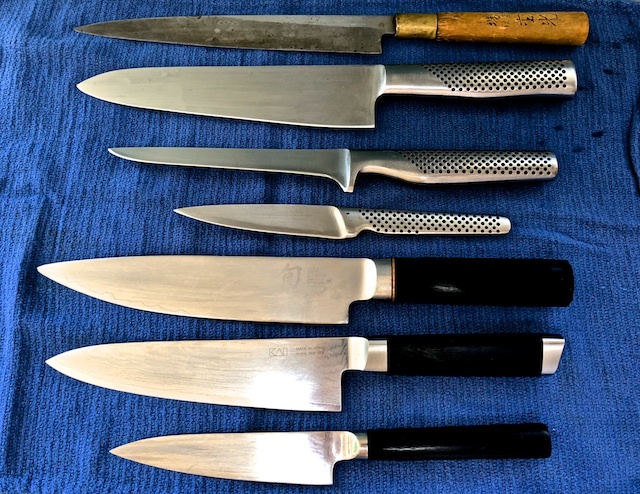 I have a filleting knife, a half dozen pairing knives, a serrated bread knife, utility knifes and several chefs knives. I also have a sushi knife for those occasions when I want to make thin slices of raw fish to serve on steamed rice or on a fresh green salad. I want my knives with me wherever I am. Even when I travel, packed safely in my checked luggage, I always carry one of the pairing knives and a chef knife. Cooking is one of the best ways to explore a destination if you have a kitchen where you are staying. Shopping puts you close to the local rhythms of life and cooking with fresh, local products is so much fun. Or, if you are staying with friends, nothing says "thank you for letting me be a guest in your home" than making a meal for your hosts. But a knife is only as good its edge. When you feel the knife drag as you slice a carrot or cut through a chicken breast, you know it's time to sharpen the blade. For many years I used a steel rod, the kind butchers use to carve a thick pork chop or trim a rack of spareribs. But when the steel rod didn't give me the sharp edge I wanted, I switched to an electric knife sharpener. That made all the deference. Every couple of weeks, when I noticed that slicing a tomato wasn't as easy as it used to be, I'd run the knives through the sharpener and I'd be back in business. I was perfectly happy with the knife sharpener I had, and then, I was asked to try the Work Sharp E5. 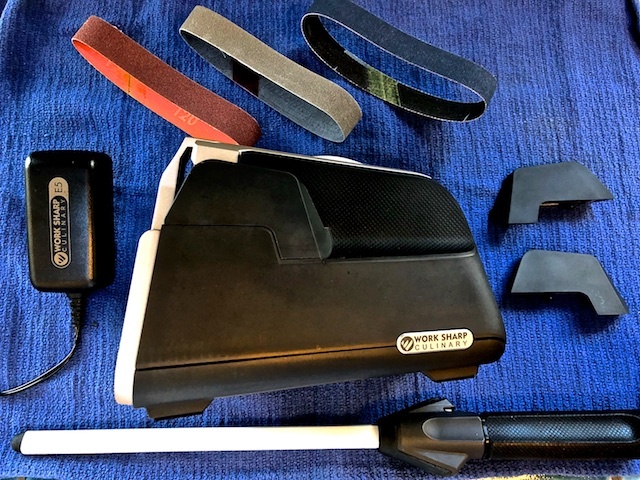 When I used my old knife sharpener, my knives sharpened up nicely, but they didn't hold their edge. Now that I've been using the E5, I find my knives are sharper than before and they hold their edge longer. 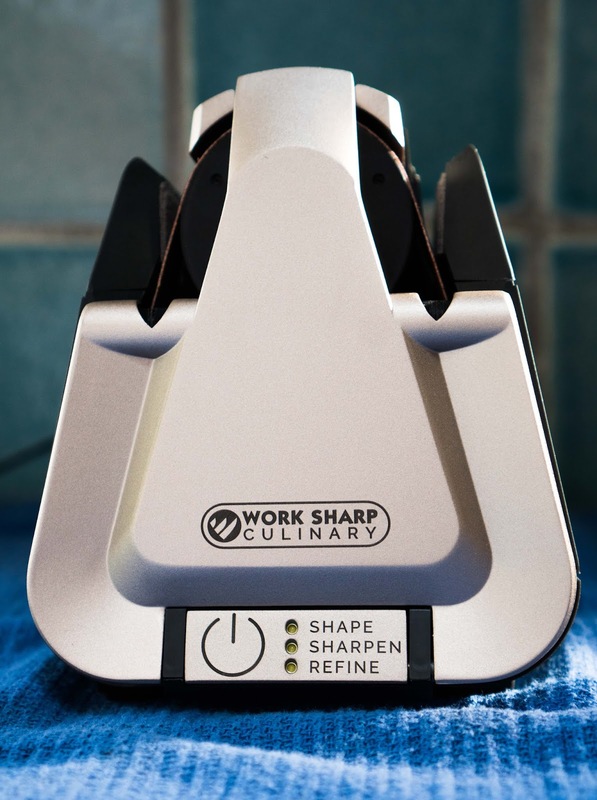 Created by Work Sharp Culinary, the E5 and its sister the E3 sharpen every type of kitchen knife. The more expensive E5 sharpens as well as the E3 with the added advantage of timed sharpening. 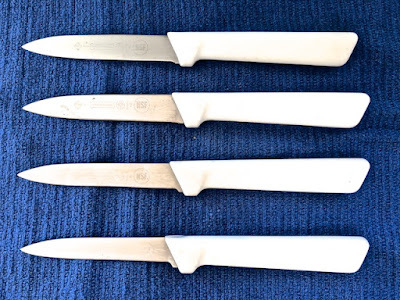 Draw the knife through the sharpening slot, once, twice or as many times as necessary. The machine can sense when the edge is sharp and turns off. To finish the sharpening processes, both the E3 and E5 come with a ceramic honing rod for fine tuning your blades. The E5 honing rod has an ingenious addition. On the side of the handle, a v-shaped notch is actually a MicoForge, designed to clean up the edge of your knife blade, extending its sharpness and giving you more control when you are slicing. 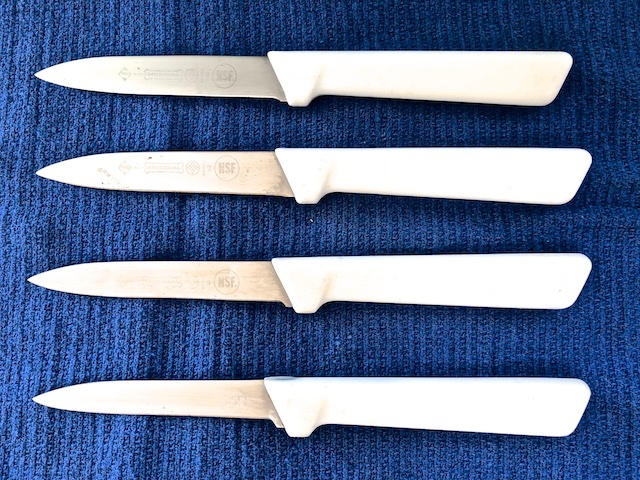 The E3 and E5 will also sharpen blades that are sharp on only one side like serrated bread knives, scissors, kitchen shears and my Japanese sushi knife. Unlike my old sharpener which relies on factory installed disks to straighten and sharpen. The E3 and E5 use replaceable belts of varying grades (extra coarse, coarse, medium and fine). Color coded, they are easily replaced by flipping open the front panel and threading around three rollers. The belts slide off and on with ease. The 17° guide that comes with the E3 and E5 works well with both East and West style knives. For a finer edge, I was given an Upgrade Kit which includes 15° (East) and 20° (West) guides and an expanded selection of belts. Since my knives are mostly made in Japan, I switched out the 17° for the 15° guide. I'll be interested to see if I notice a difference in time. Right now I'm seeing a big improvement in the sharpness of my knives. 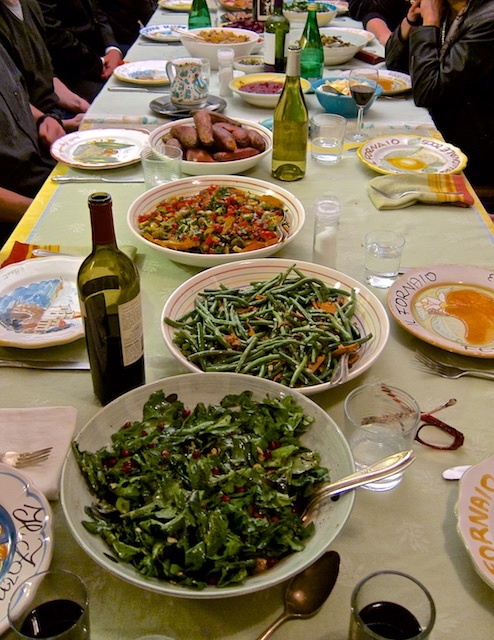 Of course, the true test will be Thanksgiving, when all hands and all knives will be pressed into action to bring the half a dozen salads, dozen side dishes and a carved turkey to the table. David Latt. Awesome Inc. theme. Powered by Blogger.